Solidly built spacious home. Ample living room as you enter the front foyer that leads to a large kitchen featuring hardwood floors, medium oak cabinetry with a granite counter. Lots of cupboard and pantry space. Large family room (22 x 13) has a natural fireplace. Lower level room could be 4th bedroom or used as an office. Wallside windows throughout. Dimensional shingles. In ground sprinkler system. 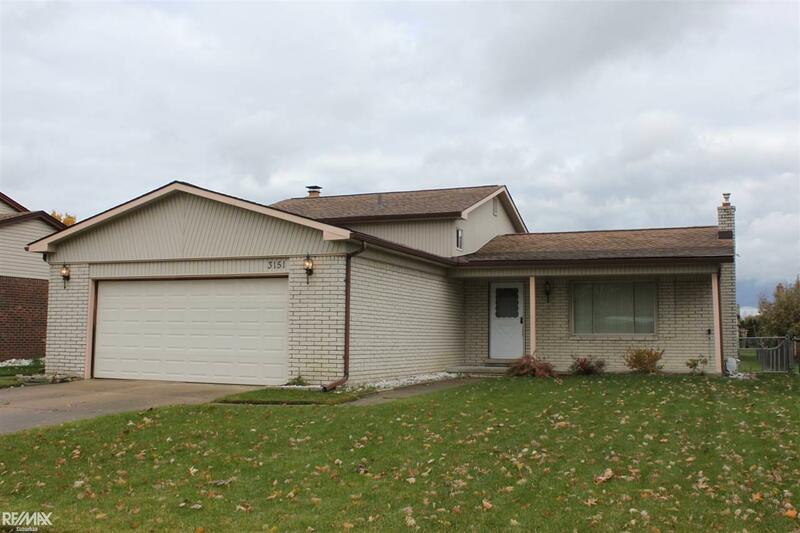 Maintenance free siding and good sized fenced yard. Home warranty included! Similar homes have sold for up to $230,000!! Spruce this one up a bit and reap the benefits!